Misunderstood : The donkey is misunderstood as an animal that is stubborn and sometimes stupid. How often humans are misunderstood and treated by others as being labelled a donkey. This labels them and results in negative consequences for all concerned. Intuition: Donkeys are not stubborn and certainly are not stupid. When confronted by something they can’t handle due to their knowing their physical limitations, or possibly something they believe is potentially dangerous, they become resolute and determined to listen to their intuition and personal knowledge. If humans only knew how to listen and abide with their inner knowledge, and inner wisdom, and inner truth. Perseverance: Donkeys will persist with their tasks tirelessly, serving their master tirelessly with a strong determined perseverance and dedication. Survival: When startled they will either freeze or go a little way getting out of perceived danger then look back to see what caused their disharmony. Learning from this they will further develop their intuitive skills. They have learnt to find a way out of seemingly difficult situations with learnt crafty and cunning survival skills. Donkey teaches you to stop and examine what lies ahead as an obstacle and how to find a way around it, safely. Overburdened: Donkeys are often overburdened with the responsibility and burdens of others. Learning to say no to extra burdens which threaten your emotional, physical, and spiritual balance and welfare is learning to take responsibility for your own wellbeing first and foremost. Hearing: Donkey has overdeveloped large funnel-like ears detecting sounds from a long way off. Opportunity and dangers can be heard if you learn how to listen intuitively as well as auditory from the external as well. This gift of listening has its symbols in the donkeys funny looking ears. 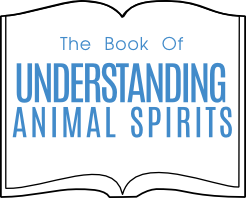 Not Obvious: The donkey illustrates the mystery and magic in understating animal spirits. Like an iceberg that is not obvious, a donkeys inherent strength is often misinterpreted and misunderstood providing bias and prejudice through ignorance. Ignorance fuels bias, creates prejudice, possibly resulting in war and needless loss of life. The donkey is a wonderful teacher.